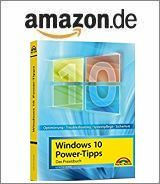 [German]Microsoft has released a few cumulative Updates for all supported Windows 10 Builds on September 12, 2017. Here the details about those updates. Addressed issue where revoking a certificate associated with a disabled user account in the CA management console fails. The error is „The user name or password is incorrect. 0x8007052e (WIN32: 1326 ERROR_LOGON_FAILURE)”. This update changes Windows 10 to Build 15063.608 and is available via Windows Update and may be downloaded via Microsoft Update Catalog. Installing this update may change Czech and Arabic languages to English for Microsoft Edge and other applications. This update changes Windows 10 to Build 14393.1715 and is available via Windows Update. It may be downloaded also via Microsoft Update Catalog. On Windows 10 V1607 systems, that hasn’t received a cumulative update, Microsoft also updates the Windows Update Client. Re-release of MS16-087 – Security update for Windows print spooler components. This update is available via Windows Update and may be downloaded from Microsoft Update Catalog. On Windows 10 V1511 systems, that hasn’t received a cumulative update, Microsoft also updates the Windows Update Client. On Windows 10 V1507 systems, that hasn’t received a cumulative update, Microsoft also updates the Windows Update Client. All updates has been enlisted within Microsoft’s Windows 10 update history page. This entry was posted in Update, Windows and tagged KB403878, KB4038782, KB4038783, KB4038788, Updates, Windows 10. Bookmark the permalink.